BSEF, The International Bromine Council, today formally joined Cefic, as an affiliate association, focused on promoting bromine-based technologies. This new arrangement will help reinforce the bromine industry dialogue with policy makers and stakeholders across a range of bromine technologies from energy storage and mercury emission control to fire safety and water treatment applications. Friday 7 October 2016. 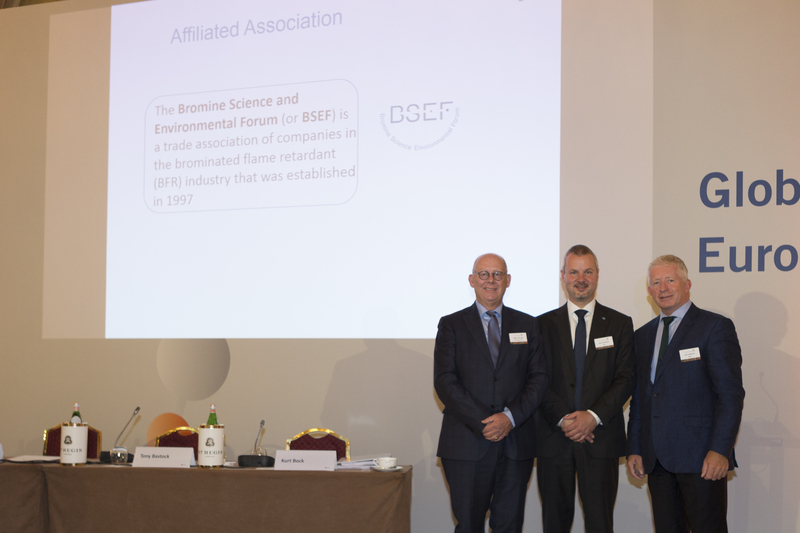 BSEF has been formally as an Affiliate Association by the Cefic General Assembly during the Global Chemical Industry European Convention taking place in Florence, Italy. “It´s a great pleasure to be part of the Cefic family” said Dr. Kevin Bradley, BSEF Secretary General, and he added “We are looking forward to successful collaboration and the building of solid and lasting co- operation on key priorities for the European and global chemical industries”. “We know that Cefic shares our commitment and enthusiasm for promoting innovative solutions to achieve smart and sustainable growth”, Bradley continued. Founded in 1997, BSEF was created in order to foster knowledge on the uses and benefits of bromine-based solutions. Since January 2016, BSEF has reorganized, enlarged its activities and focus. It also moved into permanent offices within Cefic in Brussels. Today, BSEF promotes and supports the many benefits of bromine for society and economy. These include mercury emissions reduction, water treatment, fire safety, energy production and storage as well as pharmaceuticals and rubber.